When money is tight (and it is) I revert to staying at home and photographing our common British wildlife. They do not come much more numerous than the common shrew, but there are relatively few pictures of them around. The pygmy shrew is just as common, but try looking on picture library web sites for them. Very few people have done them. Look for images of wood mice and bank voles and you will find masses. They are easy to catch, simple to keep alive and very prone to taking up cute poses. Put either in a glass tank and quite readily they will sit upright and groom themselves like supermodels preparing for the camera. Not so the shrews. 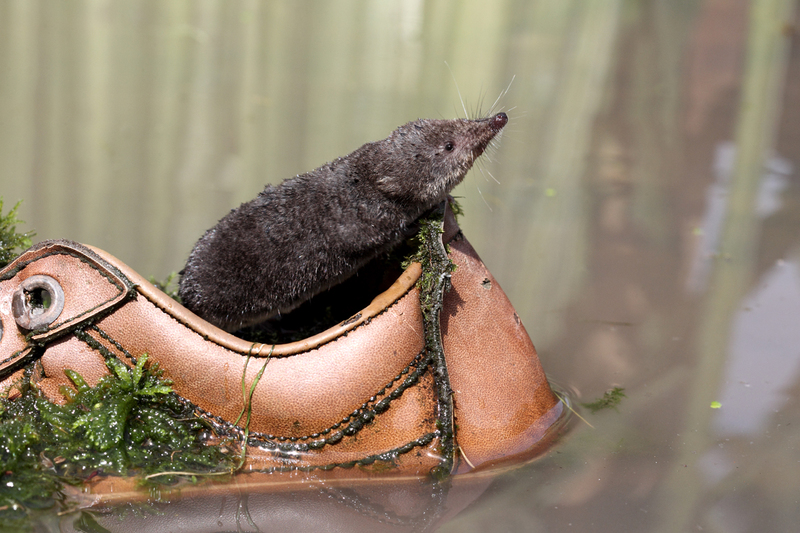 Of the three widespread U.K. shrews the one you will find the most pictures of is the water shrew. Second comes the common shrew and finally the pygmy. It reflects how difficult they are to photograph in that order. 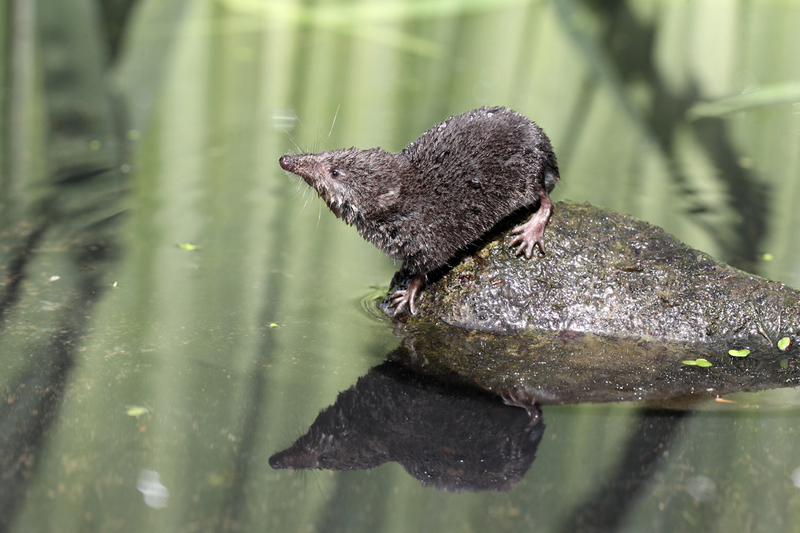 I have just done water shrew and found it very difficult. Hyper active and never stopping to pose it consumed a lot of my energy over five days. It took many more days to trap and the traps have to be inspected every few hours to make sure they stay alive. I do not find it true that shrews die easily. Given food and water they are not difficult to keep. I had a supply of earthorms and meal worms and they thrived. 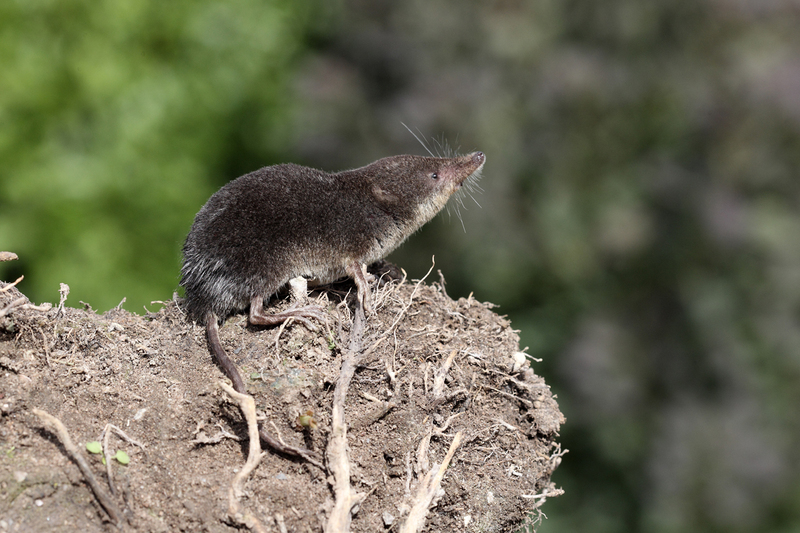 Now I am doing the common shrew and it is even more difficult (and it bites). I have finally worked out a method to get its cooperation, but it is still hard. I am expecting the pygmy to be even harder to get to grips with, but so far failed to catch one.You need a license to trap shrews in the U.K.
Posted on August 9, 2010, in Uncategorized. Bookmark the permalink. Leave a comment.